Malware that displays explicit pornographic adverts has been found lurking in 60 apps available on Google's Play store. The malware also promotes fake security programs and tries to get people to sign up to expensive services. Google said it had now removed all the compromised apps from the Play store. The "AdultSwine" malware was discovered by researchers from CheckPoint software, which said apps harbouring the code had been downloaded at least three million times. Infected apps include add-ons for the hugely popular pocket edition of Minecraft as well as apps themed around well known Disney characters. The CheckPoint researchers uncovered the infected apps as well as the infrastructure used to pipe offensive adverts and other offers to victims. Reviews of infected apps on Google's store warned about the presence of the pop-up adverts. CheckPoint said AdultSwine was a "nasty nuisance" that was "most certainly damaging on both an emotional and financial level". 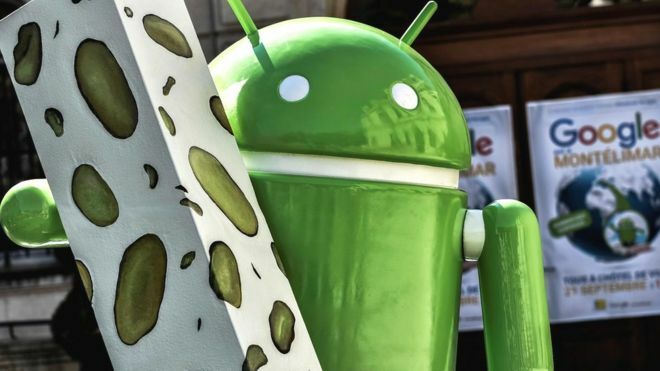 In a statement, Google said the compromised apps had been purged from the Play store and it had shut down the accounts of the developers that had created them. It added that it would "continue to show strong warnings to anyone that has installed them".